Today, IT is the backbone of all business operations. IT shops are even more concerned now on the service delivery and SLAs like never before. This is because services are consumed on the fly via mobile devices, and they mandate 24x7 availability. It is a tough task to achieve because IT is not one single entity. Things such as network, servers, storage, and applications form the IT. Managing all these layers for availability and performance is highly challenging because multiple tools are used to manage them. With multiple management tools, it becomes a grater challenge for IT shops to correlate performance and fault data across all these layers. According to an EMA survey, 54% of organizations use six or more tools to support operations activities, 29% use ten or more, and 10% use at least twenty. As an effect of using multiple tools, IT shops are clueless about the root cause. This in turn increases their MTTR and they end-up violating SLAs. What is unified IT monitoring? Some of the common practices used to correlate performance and fault data across all these layers are taking a manual approach, using a MoM (Manager of Managers), or taking an integrated approach. All these practices are cumbersome and error prone. The best way to manage IT as one entity is to merge all tools/software so that a real integration between the monitoring and management data across all layers of IT is achieved. Such an approach is called unified IT monitoring. Why Unified IT monitoring is necessary? Unified IT monitoring approach covers all critical aspects of IT. Right from managing network devices to monitoring end-user experience, it provides monitoring and management data that is much need to understand the entire operations. Unified IT monitoring integrates data across all management tools which help admins correlate all the necessary data that is required to find out and troubleshoot the issue. Unified IT management software can provide monitoring and management support across all layers of IT which helps IT shops to cut down at least half-a-dozen of tools. This reduces capex and opex. Increased visibility brings more understanding of the issue and reduces the time to find out the root cause of the issue. With unified IT monitoring approach, all the necessary management functions are available which help IT team to troubleshoot the faults quickly so that they have a minimum MTTR. 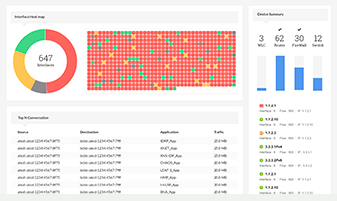 ManageEngine OpManager is unified IT monitoring software that offers network monitoring, server monitoring, flow-based traffic analysis, configuration management, firewall log management, and IP address management from a single exe. 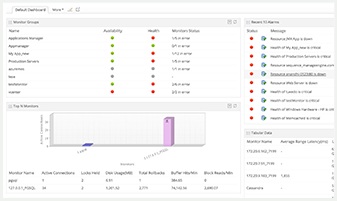 OpManager also includes an application monitoring plug-in for application and end-user monitoring. All these modules are tightly integrated and the synergy provides increased visibility and great control over your entire operations. 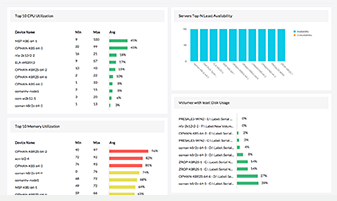 Monitor packet loss, response time, and performance metrics of devices such as routers, switches, servers, VMs. 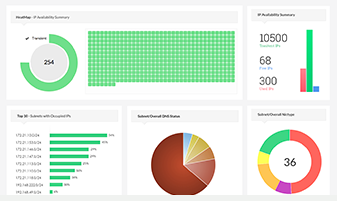 Analyze bandwidth consumed by users & apps via NetFlow, sFlow, jFlow, IP FIX, etc. and shape traffic. 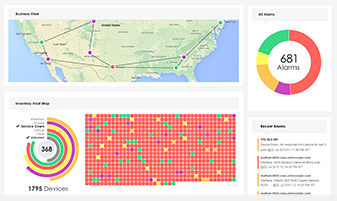 Collect, analyze, and archive firewall logs for security and compliance. Fix security loop holes instantly. Backup, push, and revert configurations from web GUI. Receive notifications for unauthorized changes. Out-of-the-box support for over 50 application servers, databases, ERP, middleware, web servers, Exchange servers, virtual systems, public cloud resources, etc. 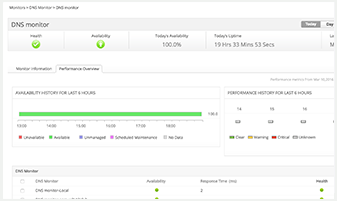 Monitor end-user services like web applications, website lookup times, file access on remote servers, network response time across branch offices, etc.